What is a Sales Forecasting system? Each category from Pipeline through to Close signals that the sales person is becoming more confident that the opportunity will be won. Omitted is a catch-all for opportunities that are lost. What basic steps are required to implement a Sales Forecasting System? Implement formalized forecast categories in which all sales opportunities are to be classified. Standardize on a sales qualification methodology so that your sales people understand how to assess and improve their opportunity status. Establish weekly, one-on-one forecast review meetings wherein each sales rep and their first-line manager review the forecast and report an adjusted aggregate number to company executives. What are the forecast category definitions? Grading opportunities by forecast categories gives all members of your organization a common language when discussing revenue predictions. These categories segment the sales cycle into distinct groupings that describe the likelihood of realizing revenue from the opportunity by the expected close date. This article describes a four-category grading system: Pipeline, Best Case, Commit and Close. At least one contact with true influence over a purchase has been engaged. The contact does not necessarily have to be the final decision maker. There will be other influencers identified later on in the sales cycle. This contact must, however, have true influence over the purchasing decision. If not, then the creation of a opportunity associated with the Pipeline category should wait until an appropriate contact has been made. The contact agrees that the company is experiencing a pain that your solution may resolve. 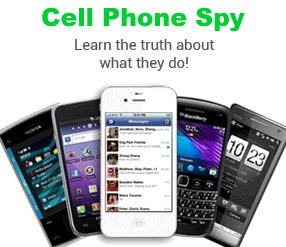 The contact has indicated that there is a rough Return on Investment (ROI) that is worthwhile investigating. The rough calculation for ROI is: (gain for the contact’s organization from implementing your company’s solution) minus (cost of your company’s solution). The gain should take into consideration the scope of the pain currently being experienced due to your solution’s absence. A formal product evaluation or decision making cycle has not yet begun. As such, the timeline to purchase is not yet known. Because the timeline to purchase is not confirmed, it is unlikely that the client will purchase your product this quarter unless your average sales cycle length is less than 90 days. To maintain the integrity of your revenue forecast, Pipeline opportunities should generally not be forecasted to close in the current quarter: they are simply a growing pool of opportunities that you are cultivating for future quarters. The sales rep has received a written response from the contact. The written response is a great way to ensure that the sales pipeline has integrity. It stipulates that the contact must confirm in writing – usually via email – that all of the elements in the Pipeline category are true. The sales rep has established great rapport with a contact who has true influence over a purchase. An important cautionary note: sales reps can sometimes fall into the trap of talking with a contact that has no influence over a purchase. Being so close to the contact, it may be difficult for a sales rep to see the warning signs of a weak opportunity. The opportunity does not yet satisfy the requirements of the Best Case or Commit category but the sales rep has a strongly believes that this opportunity has a chance to close. The prospect is in a formal evaluation process comparing your solution with competing options (your competitors’ solutions, internal development, or doing nothing at all). The sales rep believes he or she is winning the evaluation process. Most (preferably all) of the decision-making authorities are known. There are at least two reasons why it is important to be engaged with more than one contact in the opportunity. One contact will invariably go out-of-town once in a while, effectively putting the opportunity on hiatus until he or she returns. If that happens at quarter end, it will add pressure to find a last-minute replacement opportunity. Also, every contact will know only part of the selection landscape. Capturing feedback from the other stakeholders will give you a deeper understanding of your position in the opportunity, and enable you to grade the opportunity more accurately. There is a known compelling event that requires the prospect to implement a solution this quarter. A compelling event is one driving the prospect to make a decision and implement a solution by a certain date within this quarter. If the compelling event is not known, then the opportunity is at risk and you need to either have a good backup opportunity, or your should downgrade the opportunity to the Pipeline category. If the compelling event is known, and it indicates a purchase date outside of this quarter, then the opportunity close date should be set relative to the compelling event. Junior sales reps will often associate an opportunity with the Best Case or Commit categories but skip this important step. Unfortunately, panic will inevitably set in when it looks like the opportunity close date will slip past its initial projection. To compound the problem, the sales rep may start pressuring the prospect to issue the purchase order or offer unnecessary discounts. Both of these tactics are weak strategies: pressuring contacts will often result in a disintegration of trust; offering discounts usually does not incent them to purchase but rather only sets a lower price threshold when they are ready to buy. A contact – preferably the final decision maker – has confirmed that your solution has been chosen. There is a known compelling event which indicates the client will issue a purchase order this quarter. Knowing the compelling event to purchase dramatically improves your forecast accuracy and enables reps to better allocate their time. The purchase process is known. The client’s purchase order has been received. It’s important to note that once a purchase order has been received, the revenue has not yet been realized or booked. As such, the company may not be able to officially recognize the revenue. It is beyond the scope of this article to provide a comprehensive explanation of revenue recognition rules. Consult a qualified accountant who specializes in this area to determine if the revenue on a particular opportunity can be recognized. Technically, Omitted is not a forecasting category, but there needs to be a way to identify opportunities that have been lost for some reason (purchase of a competitor’s solution; decision to internally develop; decision to not proceed with any solution). Note that this is for lost opportunities only: if the decision has been stalled and the prospect will revisit it in the future, then the opportunity should be downgraded and the date should be moved out. What is “Opportunity Qualification” and why is it vitally important for forecast accuracy? Opportunity qualification is a questioning methodology that enables sales reps to better understand if the needs of a client can be solved by your company’s product, and whether that need is important enough to follow through with a purchase. In the absence of a proper opportunity qualification methodology, sales reps will tend to talk more than listen and hear what they want to hear rather than what’s actually being said by the prospect. The resulting inability to assess opportunities effectively and place them in the proper forecast category makes it very difficult for sales reps to then allocate their time effectively and be in control of the accuracy of the revenue forecast. Let’s Get Real or Let’s Not Play (Khalsa, Illig) is specifically dedicated to account qualification. The New Strategic Selling (Miller, Heiman) has very good sections on qualification and also gets into an explanation of an effective sales stage process. How does a sales manager ensure forecast accuracy? Gut-check the correctness of individual opportunity grading. There are many moving parts in most sales cycles. It is often helpful to leverage the experience and objectivity of the first-line manager to verify whether each opportunity has been correctly graded by sales reps and adjust the grade as necessary. Remove emotion from the grading process. It should not be ignored that emotion sometimes enters the equation when people forecast: bravado leads to over-committing; fear leads to under-committing. For important opportunities, sales managers must review the rep’s qualification work and determine if any of these emotions have entered the process and re-grade as necessary. Ensure that there is adequate backup. To reduce risk with the aggregate forecast numbers reported to executive, there should be adequate backup opportunities in the preceding forecast category ready to take the place of opportunities at risk of slipping. If sufficient backup is not available, the aggregate forecast number should be reduced. This is especially important for the Best Case category and absolutely critical for the Commit category. Depending on the expertise of the sales rep, it may be necessary to have multiple backup opportunities for each opportunity in Best Case and/or Commit. Adjust for the cumulative effect. With this basic grading system, the entire dollar value of the opportunity is placed in one of the four categories. However, the requirements of the Best Case category don’t stipulate that the associated opportunity will definitely close. Rather, some Best Case opportunities will likely be lost, leading to an inaccurate aggregate value of Best Case opportunities. For example a sales rep may have four legitimate $100,000 opportunities each graded as Best Case for the quarter, thereby rolling up an aggregate Best Case number of $400,000. It’s realistic that only two opportunities will close, therefore only forecast two wins. This means that the correct Best Case number is $200,000 rather than $400,000. Some reps will do better and others worse. The sales manager will know how to adjust based on each sales rep’s historical performance and a careful review of their work on the opportunity. 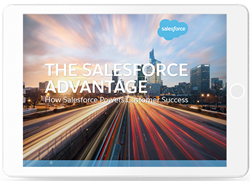 The forecast system described in this white paper will drive accuracy to very high levels, but in order for it to work everyone must make a commitment to using the system. Implement a sales methodology. Consistently hold weekly forecast review meetings. Continuously grade opportunities using the qualification language everyone understands. Once this system becomes the rhythm that drives your sales culture, forecast accuracy will become a corporate strength supporting growth for years to come. This is an actual trend of one quarter’s data for a $150M software company (if you are a Salesforce.com client you may follow along and login in to Sales Clarity . 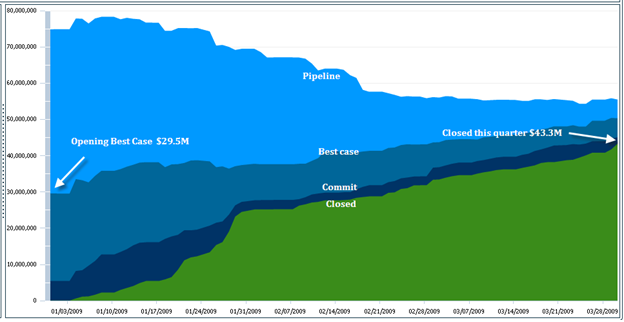 The green section shows closed revenue over the quarter, dark blue is ‘Commit’, lighter blue is ‘Best Case’, and lightest blue is ‘Pipeline’. The first item is the absence of any traumatic peaks and valleys. This is an indication that the sales reps are consistently categorizing their sales opportunities. Once this level of data integrity has been achieved is becomes possible to use it for analysis and performance improvement. For example we can see that the team opened the quarter with $29.5M in Best Case opportunities and closed the quarter at $43.3M. Basic math tells us the team under forecasts Best Case by about 43%. If this conversion is consistent across quarters, it can be used to predict revenues in future quarters. This same type of analysis can be done for any week within the quarter and for any category within the forecast system. Initial Contact engaged. At least one contact with true influence over a purchase has been engaged. Rough ROI confirmed. Contact has indicated that there may be a rough return on investment (ROI) that is worthwhile investigating. Confirmation of real pain. Contact agrees that the ROI may resolve a real pain and justify a purchase. Confirmation of rough evaluation date. Contact has indicated they will at some point start a formal evaluation of the solution. Written Response. There is some form of a written confirmation or ‘touch back’ where the contact expresses in writing (usually via email) confirmation of each of the above points. A formal product evaluation or decision making cycle has not yet begun, so the timeline to purchase is not yet known. Justification for current pipeline status. – Sales rep has established great rapport with a key contact that has real influence over a purchase. – Sales rep has gut feel that this opportunity can close. Rationale for status. Sales rep believes he or she is winning. Identification and qualification of all decision makers. More – preferably all – of the decision-making authorities are known. Compelling event. There is a known compelling event to purchase that indicates the prospect needs to make a purchase this quarter. Confirmation of selection. Client has confirmed that your solution has been chosen. Compelling event – this quarter. Compelling event indicates a purchase will occur this quarter. Purchase process. Purchase process is known. PO received. The client’s purchase order has been received.